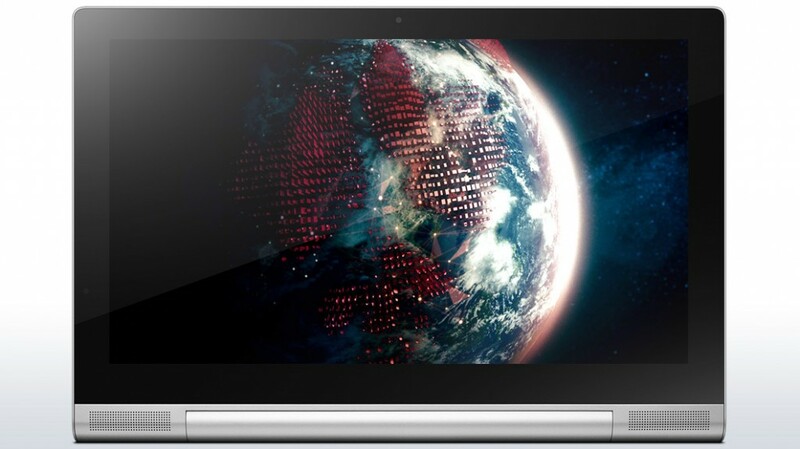 Recently, Lenovo released the newest member of the Yoga Tablet line, the Yoga Tablet 2 Pro. A new type of tablet targeted at professionals on the move that need to be able to set up and give a presentation quickly and effectively. 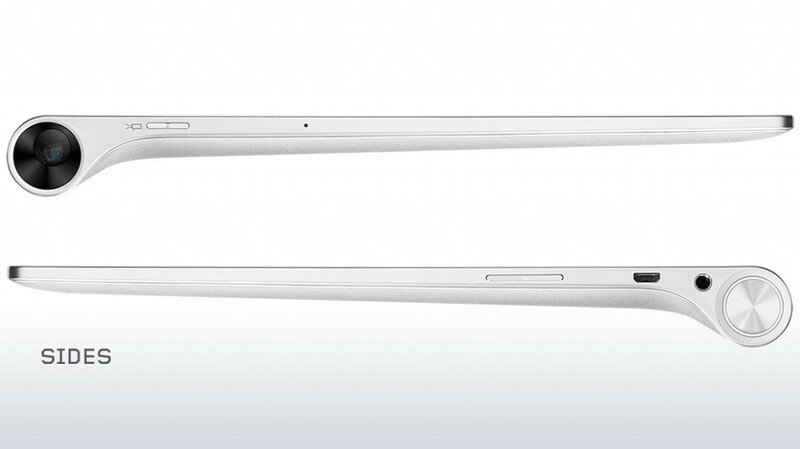 There are a few major differences with this tablet that make it stand out from the other ones on the market currently. 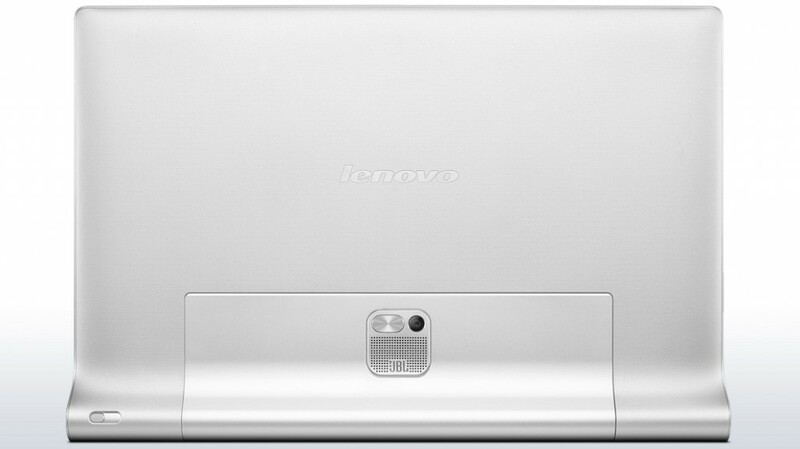 The first, and one of the main marketing points on the tablet for Lenovo is the integrated Pico Projector, the tablet has a round base where the battery, projector, and power button are located, and this round part also has additional functionality as the stand for the projector when it is in stand up mode. The tablet also sports a HUGE 13” screen at an awesome resolution for HD viewing, this screen is so big that it almost feels like you’re using a touch screen desktop. The aluminum body of the tablet only helps to make the product feel solid and well made, however with this comes a lot of additional weight. All of these features add up to make a solid product that could help most professionals (or even those who just want a sweet tablet) get things done faster and more effectively, so without further ado let’s get onto the review of this unusual tablet. With a screen clocking in at 13.3” no one can call this tablet small, in fact as far as tablets go this thing is a behemoth clad in an aluminum body that brings the weight of the device to a whopping 2 pounds which for a handheld device can start to get heavy after a while. The huge screen allows for a huge keyboard, which really helps when using the tablet, it’s so big that it almost feels like using a normal keyboard on a desktop or laptop and it’s crisp resolution of 2560 x 1440 allows for a clear image no matter what size image you are viewing. It’s an IPS display to boot which means it’s got a good response time and good color temperatures, the touch sensing technology is capacitive which means you get a nice smooth glass feel to the screen and that there is a much lower chance of scratching the screen. The body of the tablet is designed very well, the cylindrical hinge at the bottom of the unit is the heaviest part of the unit and is generally the surface that the tablet will sit on while in use. The hinge used is made of aluminum and is very rigid to the body of the tablet, this makes it very hard to move but is also a good thing because when the tablet is sitting up straight it allows for easy typing and no movement of the tablet when the screen is touched (a common issue with stand cases for tablets). One thing we’d like to point out is that this is no Nexus 7, you aren’t going to be using this with one hand, in fact you’ll probably be cradling it in one arm while using it due to its large size and weight, we found it very uncomfortable to hold in a standing position for more than 5 minutes at a time, at that point we found ourselves opening up the stand and setting this beast down. The sound is an 8w UBL speaker located on the back of the projector which produces great sound, actually the best we’ve ever heard out of a tablet, for the first time ever bass tones are audible and the treble is clear and crisp. This may be due to the massive amount of space that Lenovo was allotted to fit a speaker however we were impressed by its quality and volume, it’s definitely something that could produce enough sound for several people to hear while watching a video on the built in projector. As for the projector, we’re going to be talking about that later in the review for several reasons, mainly though we felt that it just deserved its own section for good and bad reasons. Now for the most juicy part of the review, the part that most people interested in the Yoga Tablet 2 Pro came here to read about, and the part that Lenovo probably doesn’t want the most true coverage on; The projector. 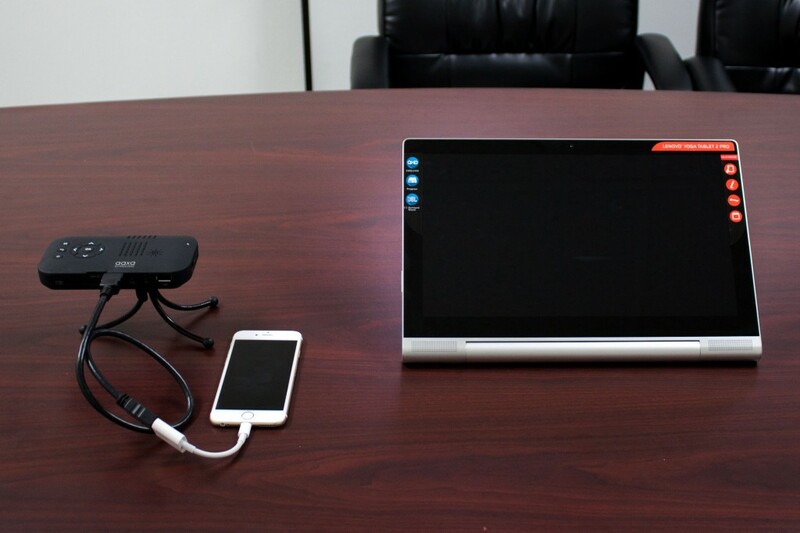 It is one of the first mobile products we’ve seen that has a usable built in projector. With all of the older mobile products with projection there was always the issue of positioning. How do you use the phone to present and also have the projector in the right position and in focus? This was especially true because there was just no way that you were fitting a tripod mount on a phone or a tablet. 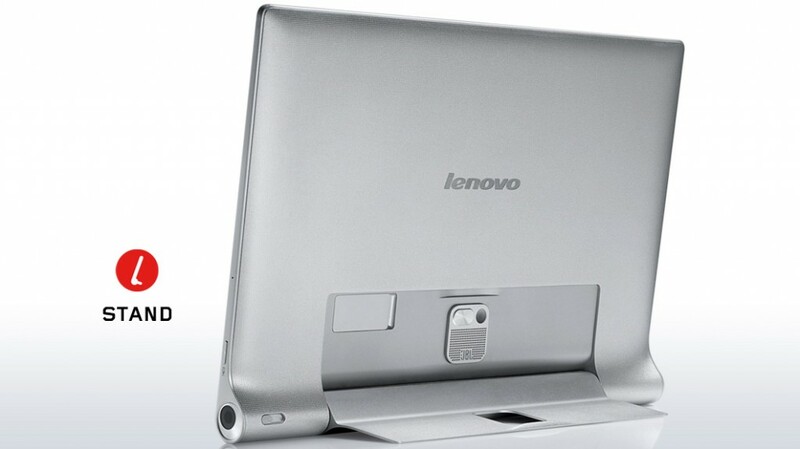 This is where that sturdy stand on the bottom of the Lenovo tablet comes in. By using the tablet in stand mode you are able to adjust the horizontal keystone of the projection by adjusting the stand, given that you are using a flat surface to project from this should allow you to get a good usable image out of the tablet, it is also very easy to use while it is in this position as it allows the user to sit and basically use the tablet normally without sacrificing the image quality. Now for the bad parts, first let’s talk about the brightness. The projector is dim to say the least, at 50 lumens it creates a dim image even in completely dark conditions, although it does beat the Lumi-tab’s 35 lumen projector, a 50 lumen projector would be barely visible in a lit room. The focus mechanism on the projector is a small slider on the back of the unit near the lens of the projector, the slider is semi-stiff and hard to do small movements with and thus is hard to get the perfect focus, and we found it easier to physically move the whole tablet back and forth to get the correct focus. Even when fully focused the projector doesn’t produce the clearest of images which could be due to the fact that when you hold the tablet the lens naturally touches your skin and gets smudges on it, but even when clean viewing text and web pages seemed to have a slight pixilation to the image which made text somewhat hard to read. When viewing a movie the projector looked just fine, except on dark scenes where the brightness of the projector came into play and it became hard to differentiate objects in the shadows. Lastly, the projector can only be used while the tablet is in a horizontal position, which means you aren’t going to be holding it while projecting like they showed in the promotional videos for the tablet. Although we’re sure that most users are going to be using it on a table anyways it should be that big of a deal, but we did feel a bit cheated when we held it up to project onto a wall and the projection was completely sideways. 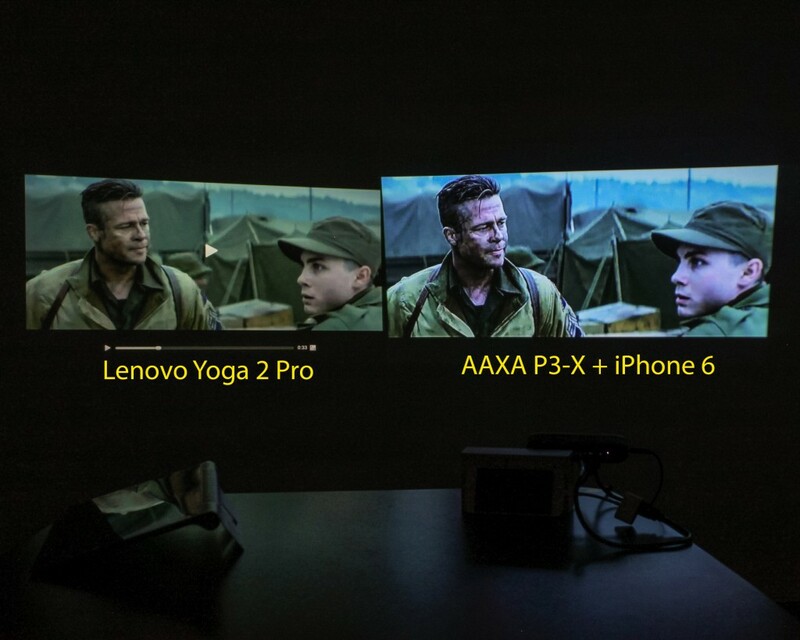 For a comparison, we set the Lenovo Yoga 2 Pro up against an AAXA Technologies P3-X Pico Projector to test the brightness, sharpness and ease of use. In this demonstration, we have hooked up the AAXA P3-X to an iPhone 6 using an Apple digital AV adapter and an HDMI to mini HDMI cable. We will post a video later demonstrating the difference between the two, but we did take a couple of images which show a pretty stark difference. 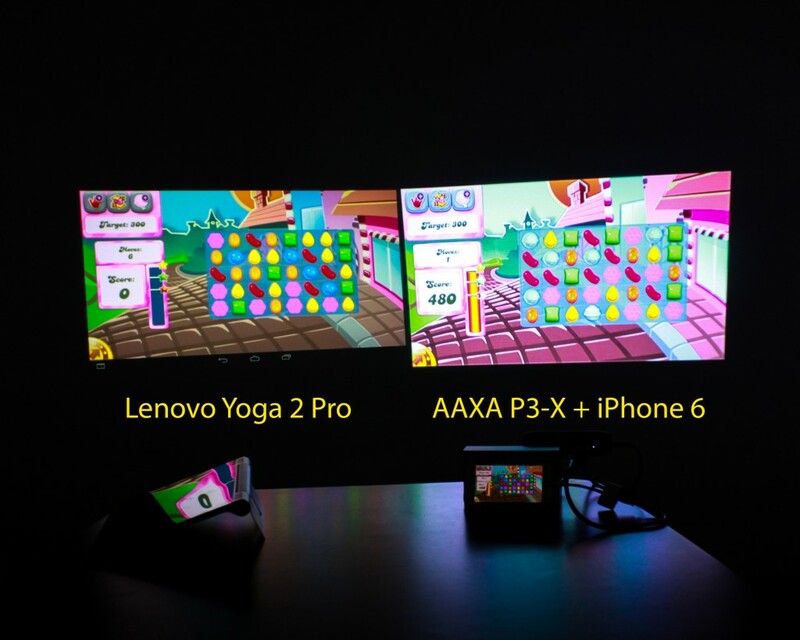 As you can see, the 70 lumen AAXA Technologies P3-X (left side) outshined the tablet pretty convincingly. Additionally, the difficulty in focusing the tablet makes a dedicated micro-projector a much better option for projection needs. That’s about all we have to say bad about the projector in the in Yoga Tablet Pro 2, it’s definitely a product that you could use for personal viewing and for a quick set-up for a business presentation, but we wouldn’t recommend it for much else. In this section we’ll go over the direct specs of the projector just so that you have a reference when you’re looking at this tablet vs others. Storage: 32GB internal, up to 64GB SD card for additional storage. Sensors: G-Sensor, e-Compass, Ambient Light, Hall, and Vibration. As you can see it’s got pretty average specs as far as high end tablets go, but it’s definitely a lot more powerful than your average sub $200 tablet. In conclusion, the Yoga Tablet Pro 2 is definitely a cool product that deserves its place in Lenovo’s line-up as one of their main tablets, although unique with its projector we honestly just found it to be such a low quality projector that it wasn’t really usable in a professional situation, we’d still recommend that you go the route of just getting a Pico Projector and hooking it up to a cheap tablet or laptop if you’re looking for a portable projection solution. The results will be a lot better and it will still most likely be cheaper than this tablet/projector combo. But if you’re just looking for a big tablet to maybe replace a laptop or just something to easily set up and project movies for a couple of friends or yourself then this tablet will fit the mold, it’s definitely not something to immediately pass up as a multimedia tablet but may be something to overlook if you’re looking for a projector. The news isn’t for good, however, Sundance recently hosted the ShowWX Festival where pico projectors and random items were used as screens instead of the 200ft multiplex screen. According to Stuff, the items used as screens for these pico projectors ranged from sheets of ice to a woman’s bare back. The Showxx Festival showcased mostly indie movies including Ken Russell’s Boudica Bites Back and Delphinium, a coming age story by director Derek Jarman. The two main feature screens were a 100-inch wall of ice that was intended to melt to the ground by the time the festival was over and the ceiling of the Sistine Chapel lie-in theater where viewers would lay down to see the feature. Texas Instruments’ OMAP4 based smart phone? – let’s throw a pico projector on it! It seems that many gadgets are starting to couple a micro or pico projector right on to the platform. TI’s OMAP4 chipset will be able to drive 3 different displays simultaneously and includes a pico projector. The way Slashgear describes the new OMAP4 based device, the three different displays and pico projector look as if they are going on to a sort of smartphone or tablet-based reader. The significant bump in processing speed on the OMAP4 will be due to the dual 1GHz ARM A9 cores. Even though processing speed is increased, the chip set should also be more efficient giving users roughly 145 hours on a 1,000 mAh battery. The video displays on the OMAP4 will allow for two onboard screens and an external display which can be used in place of the onboard pico projector. For example, if you want to watch a movie while keeping your browser and email open, you can plug your video out in to an external monitor. 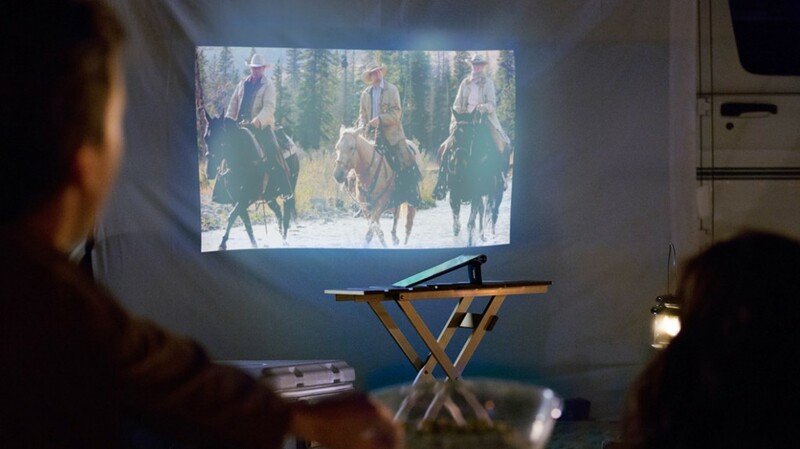 If an external monitor is not on hand, you can play your movie directly on to a flat surface via the built-in projector. Read the rest at Slashgear. CES 2010 – Las Vegas, Nevada – MSI unveils its concept prototype – the MSI Projector PC. According to Engadget, the MSI Projector PC blasts HD video at about the quality of a micro projector. They also mention that the brightness is notably a step above the pico projector levels. Essentially, the MSI Projector PC is a micro projector with a PC and DVD drive built in to it. The plan is to pair it with their wireless mouse and keyboard for living room use. The advantages are merely novelty as one can easily plug in a laptop or PC to most pico and micro projectors as it is. MSI conveniently bundles up the idea in to one small package.